Yet, it was this old system at play. A three-day conference whose line-up of mostly white, female speakers cost hundreds of dollars to attend. The goal was to empower women but how does the display and celebration of heteronormativity do that? Isn’t that exactly the opposite of pursuing a shift in power paradigms? I do not want to wholly discount the retreat. I was honored to be there among so many incredible women and the environment was nurturing and special. But, when you discuss women and power, you cannot accurately do that, nor can you do justice to those working to dismantle inequality, when you do not acknowledge the institutionalized oppression, racism, classism and sexism that intersects and perpetuates the imbalance of power between women. Men aren’t the only gender guilty of participating in the patriarchy- an admission made by Brene Brown- women do it, too. My concern with fourth wave feminism is the maintenance of old power structures. Our skin color is not our choice- but what is, is whether we can check our privilege and whiteness and recognize that a white woman will not have the same experiences as a woman of color. Attempts to popularize, stylize and rebrand feminism are perpetuating, by default of the creator’s nearsightedness, “old system” powers by portraying a thin, white woman in a suit as some sort of mascot for feminism. We don’t need mascots, gate-keepers or an internal caste system. That’s not why we’re here. In fighting the patriarchy, we cannot become the patriarchy. In recognizing that there are serious issues in this movement, feminism cannot only be concerned with eradicating the struggles of white women. We must also work to deconstruct and dismantle racism, classism, homophobia and trans*phobia. Women are diverse and feminism must be, too, and should work to meet the needs of all women. The strength of the sisterhood is so important. We are only as strong as our values and without the inclusion and interest of elevating all women to an equal platform, feminism will go nowhere fast. We cannot leave any sisters behind as we solider on. 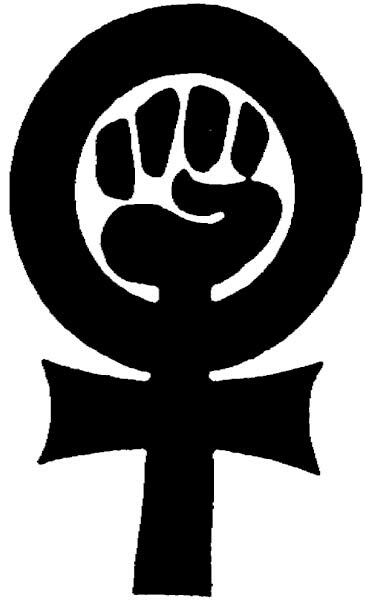 We must raise our fists in defiance and demand a better future for all women. A movement that demands equality cannot succeed if it’s plagued with inequality. For if you are not for all women, you are only for yourself. “We cannot leave any sisters behind”- you are so right. thanks for this! I’m thrilled to find this quote from Elizabeth Lesser. Have loved her on the radio and her book “Good Grief.” I feel a disconnect with Omega though, for the same reasons you mention, and I’d really like to see single moms included in any feminist agenda. I once was one and I always “felt” that single moms were discriminated again. Recently it took me very little research to find that this is actually, factually true. The situation is totally different than when I was a single-mom in the early eighties and could find a decent paying job with benefits. In fact, my single mom daughter makes less now than I did then. The average single mom makes $23,000 a year. They’re lower on earning charts than any other group including any race. And they’ve got children to support!